BeaWhile the Angels are patrolling and watching over the communities Beast is watching over the Angels. 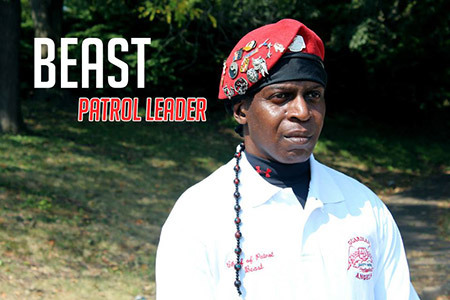 Beast is the definitely the Angel you want on a patrol when it comes to discipline and presence. When it comes to observation skills and instinct there is very little to escape his watchful eyes. Chances are if you see an Angel patrol you are sure to see Beast but not before he sees you. When Beast is not working his security job in Towson or doing angel stuff he spends every free moment working out, he is trained in Boxing, Aikido & Kung Fu, he also does 200 sit ups & 225 pushups every day.